No, this is not the walk down a “Long Hall” of a sanitarium, but this photograph shot in one of the older buildings of downtown St.Louis certainly gave me that feel. 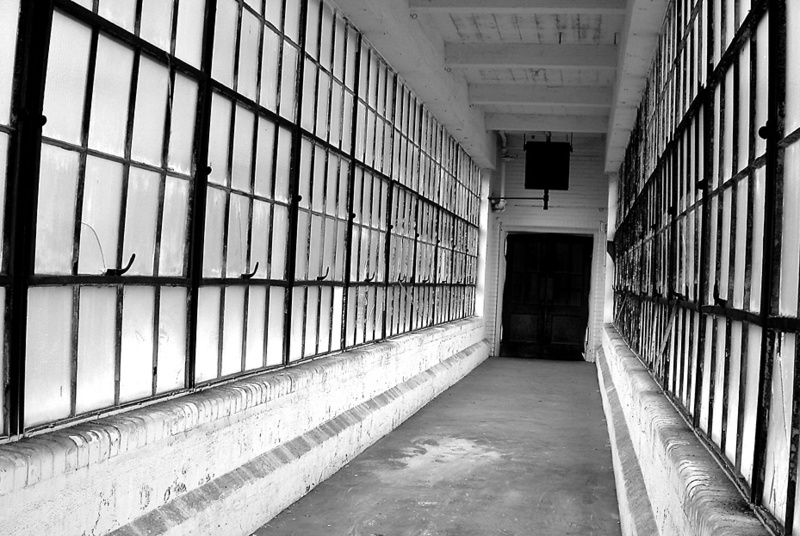 During a quiet shoot in the old Brown Shoe Company building, I opened a door and discovered this hallway. These old frosted glass windows made for an incredible photograph and left me with the question of just how many have past through these industrial halls.